The truly interesting thing about this article from the Hollywood Reporter is not the specific names on the list of the top consultants to Hollywood on politics and philanthropy, but that the list combines politics and philanthropy as sort of a joint professional field. The article by Tina Daunt notes something that we hadn’t realized, that Marge Tabankin, the longtime respected philanthropic adviser to Barbra Streisand and Stephen Spielberg, had retired. Her role with Streisand included serving as the treasurer of the Streisand Foundation, where she was paid $204,608 in 2013 according to the 990 for 2013 filed by the foundation. She also appears as “senior adviser” on the website of Steven Spielberg’s Righteous Persons Foundation, though it is possible that that webpage has not been updated if Tabankin has actually retired. Tabankin has also been a board member of the Arca Foundation, the Proteus Fund, and the Discount Foundation, as well as People for the American Way Foundation, some of the more progressive philanthropic actors in the grantmaking field. Surprisingly, the article doesn’t link Tabankin with Rachel Levin, her business partner who is now listed as managing Spielberg’s Righteous Persons Foundation. Levin is also an adviser to the Rosenthal Family Foundation (the foundation of the producer of Everyone Loves Raymond), co-chair of the pooled fund of the Los Angeles County Arts Commission, a co-founder and board member of Reboot (an organization dedicated to exploring Jewish identity), and cofounder of the Joshua Venture (created to support Jewish social entrepreneurs, though it closed down after only a few years in 2005 and was subsequently relaunched later as the Joshua Venture Group). The article also takes note of Andy Spahn as an adviser to Jeffrey Katzenberg and Steven Spielberg, calling him “essentially…the last man standing among the top tier of Democratic consultants” in light of Chad Griffin’s having left for D.C. to run the Human Rights Campaign, Noah Mamet’s move to Argentina to serve as U.S. ambassador, and Marge Tabankin’s shift into retirement. Spahn was head of communications and corporate affairs at DreamWorks, where he worked with Katzenberg, Spielberg, and David Geffen. (He was also president of Geffen’s foundation.) As of its 2013 990 filing, the Marilyn and Jeffrey Katzenberg Foundation listed Andy Spahn and Associates as responsible for its grant administration, paid $173,349 for that year in which the foundation distributed $709,051 in grants and contributions. 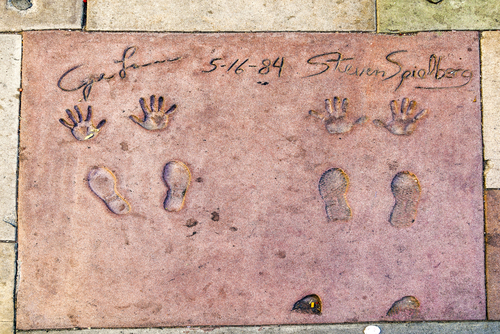 Spahn’s firm is also listed as having provided strategic planning services to the nonprofit Oceana, which lists a number of Hollywood board members in 2009, including actors Ted Danson and Sam Waterston.